Back by popular demand. A guided walk around our reserve as darkness falls! Back by popular demand! 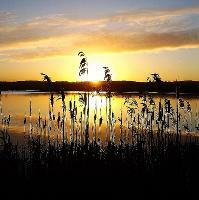 Join us for a guided walk around Brockholes as darkness falls! Learn about the wildlife that comes out at night and join us around the campfire for a hot drink and biscuits. Meet at 4.30pm at the parking machines on the main car park, ready for a 4.45pm departure, return around 6.45pm. Please come dressed for the weather conditions wearing sturdy footwear and bring a torch! The event is not suitable for children under 5, and not suitable for pushchairs. The ticket price includes free parking, hot drink and biscuits. If you have any specific dietary requirements please email events@brockholes.org with details quoting your booking reference number. This is a very popular event and sells out fast so do book early! Please note that this is a family friendly event, so children over 5 are welcome!